Household hazardous waste (HHW) is a topic that affects every individual and community given the nearly universal use, storage, and disposal of chemical consumer products. Yet many communities lack the basic information, guidance, and planning support for HHW collection and management so that struggles (e.g., to gain politicians’ and residents’ support, host a collection, build a facility, affect behavior change, and encourage extended producer responsibility) continue on a regular basis. 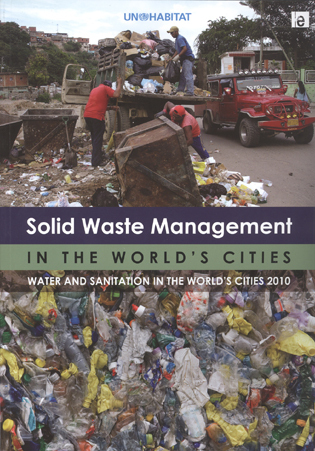 This book is for professionals, students, government officials and others interested in HHW and accommodating the increasing societal demand for this disposal option. offers an extensive resource list for more information. Amy Cabaniss, Ph.D., M.B.A., has more than 30 years of experience as an environmental educator with applied research in conservation psychology. As adjunct faculty in the School of Business MBA Program at Southern Connecticut State University, Amy teaches Business Ecology and Sustainability and The Research Project. She is the editor of the Handbook on Household Hazardous Waste, past-president of NAHMMA-Northeast Chapter, and former NAHMMA board member. Essential resource for anyone involved in supporting, starting, managing, overseeing, or running a household hazardous waste program. The Handbook provides extremely thorough and well-written coverage of the history of HHW programs in the U.S.; the mechanics of running a program; approaches to addressing the many challenges facing these programs; and the future opportunities for waste reduction, toxics reduction, product stewardship, and green chemistry. The Handbook on Household Hazardous Waste is one of the primary go-to references on my shelf for running my operation. The ‘Handbook on Household Hazardous Waste’ is a must-read for everyone, from homeowners to HHW employees. Then keep a copy on your shelf, for answers to difficult questions! 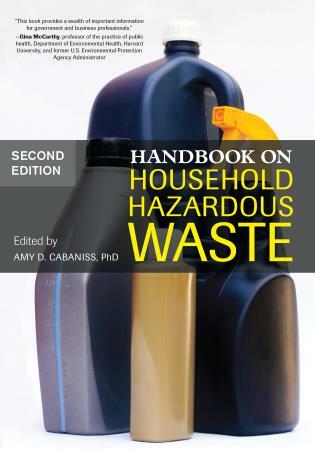 Much has changed in 10 years since the first edition appeared, and each chapter in the Handbook on Household Hazardous Waste, Second Edition, is updated to reflect changes and advances in the field of HHW collection and management. This includes updated appendices and the extensive resource list.